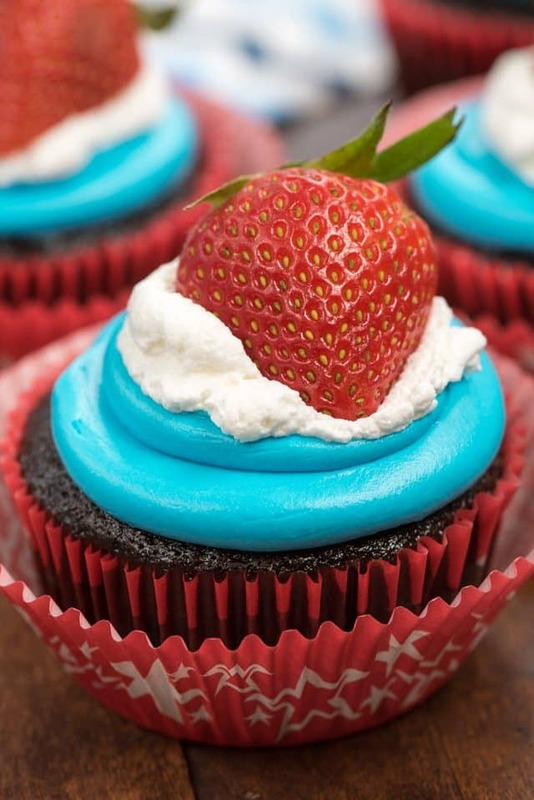 Perfect for your patriotic party, these Red, White, and Blue Cupcake Tops are patriotic! Great for 4th of July or Memorial Day, these cupcake tops are perfect for showing your patriotic colors. Plus, cupcakes! It hit me last week that it’s already Memorial Day this weekend. The gateway to summer is happening and it feels like it was just January. Normally I’m excited for the prospect of Memorial Day. It’s a three-day weekend and it means that summer (and the release of school) is just around the corner. This year, however, I’m not looking forward to Monday. That’s the day Jordan and I will get up early and drive to her best best best friend’s house and give them one last hug before we watch them drive away to their new home in Utah. I decided to make these cupcakes for Memorial Day this year because I feel like the significance of the day gets lost in the start of summer. Sure, Memorial Day is a traditional day for picnics and BBQ and the official start to the summer season, but it’s also a day we thank our military. 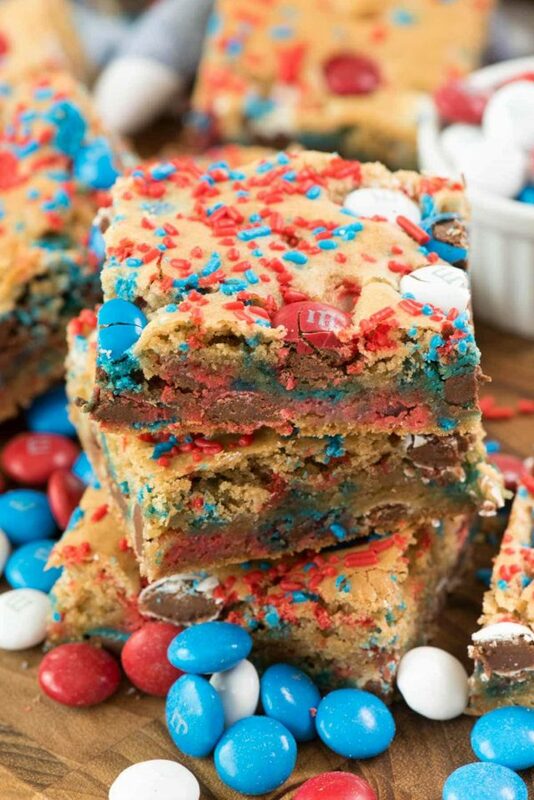 Red, white, and blue food shouldn’t be served just on the 4th of July, after all. 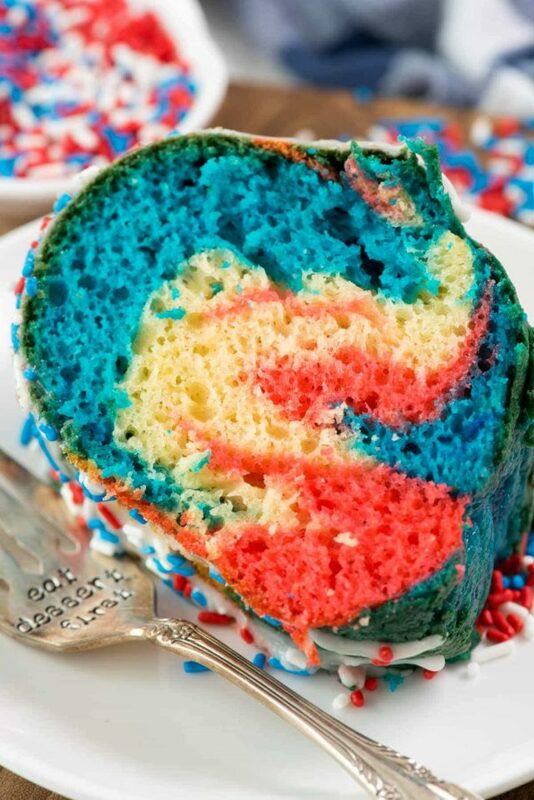 Patriotic cupcakes are good for Memorial Day too! 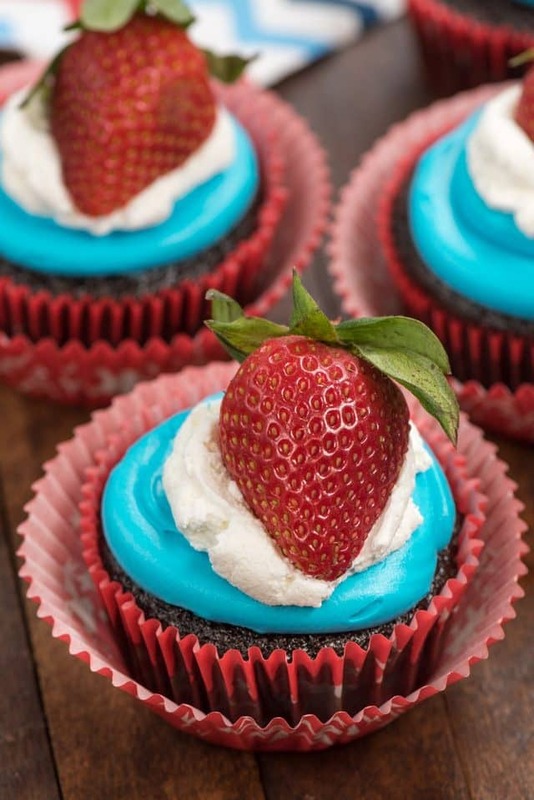 Red, White, and Blue Cupcake Tops are the perfect topper for a patriotic cupcake! The colors make this look like a flag cupcake! This cupcake decorating idea couldn’t be easier. You just need three things: blue frosting, whipped cream or whipped topping (or vanilla frosting), and strawberries (or raspberries). 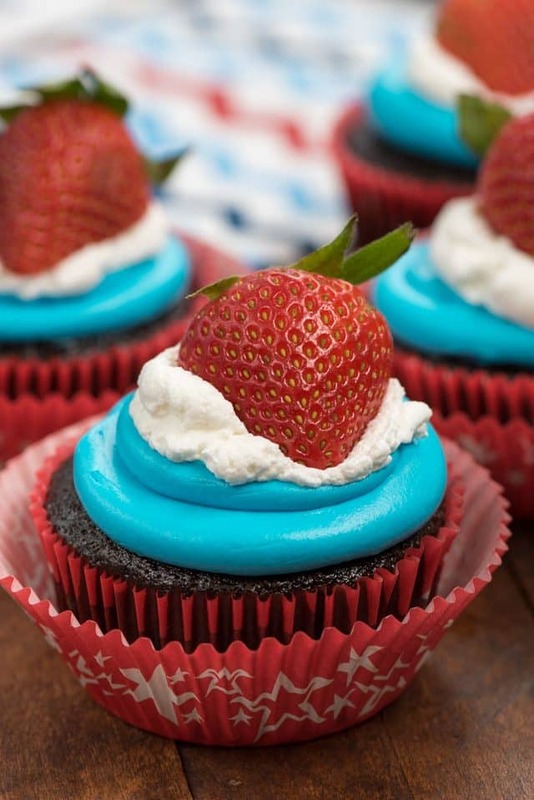 Just those three ingredients, when you put them on top a cupcake, makes an easy red, white, and blue cupcake perfect for the 4th of July or Memorial Day! This cupcake topper would be great on vanilla or chocolate cupcakes, or even red velvet…or any kind of cupcake you like. The key is in the decorating! This recipe is more of a method, and you can use what you like to personalize it. Not only are these fun, but they’re super pretty too. 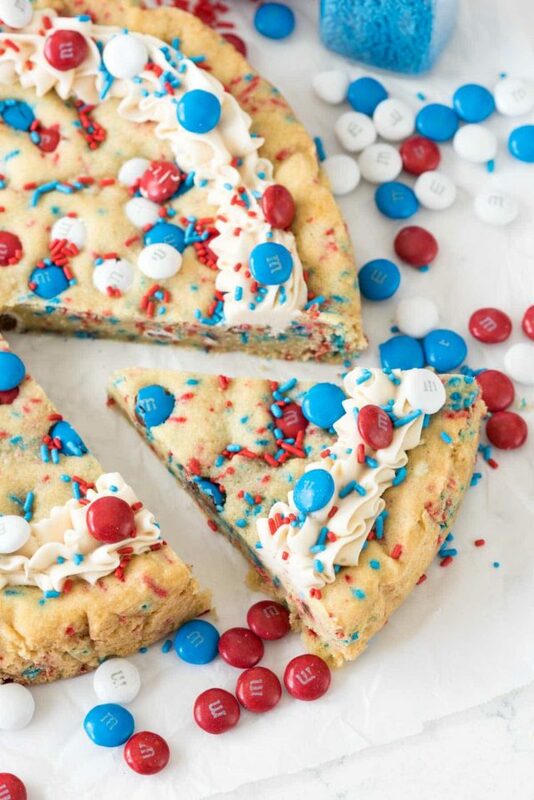 Make cupcakes look like flag cupcakes by adding red, white, and blue to the top. Use canned frosting or my favorite recipe and tint the frosting blue. Use white frosting or whipped cream (or Cool whip) for the center color. Strawberries are gorgeous on here, and really go well with chocolate cupcakes! Bake and cool your cupcakes according to package directions. Tint your frosting blue. Place it in a pasty bag fitted with a round tip. Place your cool whip in a ziploc bag with the tip cut off. Frost each cupcake with a bit of blue frosting. Top with cool whip. Place 1/2 or a full strawberry on top (or use raspberries). You can frost the cupcakes with frosting and cool whip up to 24 hours in advance. Store in refrigerator and add strawberries before serving. The cupcakes look wonderful! I am sad for Jordan and you too! I hope things go as smoothly as they possibly can on Monday! Hugs to you both! Something tells me Jordan is probably a lot like her mom, so I don’t think she will be fretting for too long. All she has to do is tell her classmates how she has easy access to blue frosting at home. She will have a whole swarm of followers then. Thanks for remembering the military. It means a lot to those who served.